LIU Brooklyn is a private institution of higher education located in Brooklyn, New York City, United States. 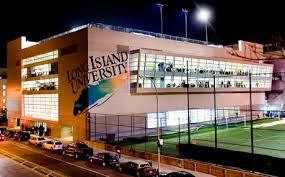 It is the original unit and first of two main campuses of the private Long Island University system. Whether you are already on a steady career track or still exploring your interests and trying to decide on a major, LIU Post's Career Services is here to give you the tools to find the career path that is right for you. Academic Percentage & Backlogs: Students must have 60% to 65% & not more than 5 – 8* backlogs in Under Graduation to Qualify for Admission. GRE/GMAT: Most of the graduate programs require 290 + or GRE to qualify for admission.400 in GMAT is required for Business Administration & Accountancy. GRE is also considered in place of GMAT for MBA. Conditional Admit : No Conditional Admit. Application Type: Paper based application.